Testing language fluency and competency in your bilingual and interpreter staff, as well as candidates for hire, has never been easier. 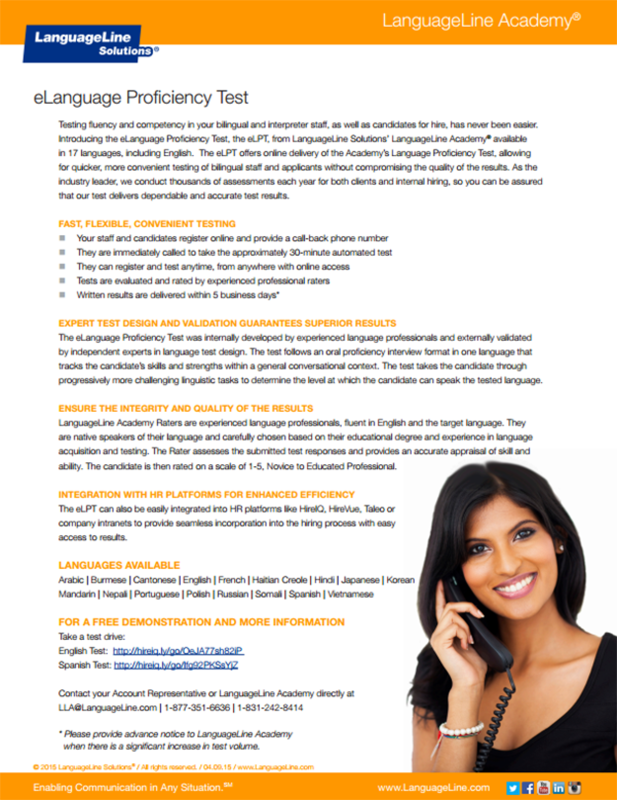 The eLanguage Proficiency Test, or the eLPT, from LanguageLine Solutions is available in 17 languages, including English. Find out how we can help your organization ensure the quality of interpretation for your Limited English Proficient customers.